Stafford's World launched at the end of May 2006 and is now over 12 years old. After nearly 10 years of broadcasting shows across Europe on satellite, firstly via EKR and then from Radio Caroline, I just thought it might be a good idea to try to get the show heard in a few other parts of the world. For those that have never heard the show, here's a bit of general background information. Let's start with the answers to some questions. What is “Stafford's World”? 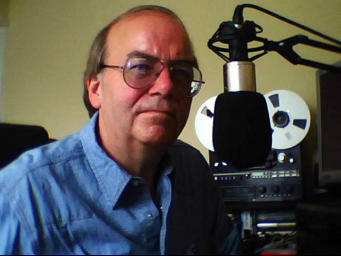 “Stafford's World” is a syndicated radio programme which launched at the end of May 2006. The show currently broadcasts via local transmitters in the USA, Germany, New Zealand,Spain, the UK, France and Italy, along with worldwide internet coverage. 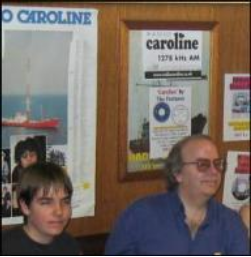 The show is presented by Mark Stafford and is an extension of his very popular specialist shows which have been broadcast (via Satellite) throughout Europe since 1997, firstly on European Klassik Rock then, from 1999 to the present day on Radio Caroline. Musically the show covers the the area of oldies plus adult rock and quality pop/rock. Weekly shows alternate between the general “Flashback” type shows and “The Rock Flashback”. Both feature music from the early 60’s to the early 80’s. But, the “Flashbacks” lean towards a mix of Pop, Rock & Soul. Whereas, the “Rock Flashbacks” are a Rock/Pop blend. Features in the “Flashback” shows include “Ah..But They Did It First” which focuses on the original versions of hit songs. “I Know I Shouldn’t But I Love It” which is a chance to break all the boundaries and play some of those awful songs that have stuck in your mind over the decades! Plus, “The Song Stories” looking at the story behind some of those great hit songs. The “Flashback Shows” alternate with the “The Rock Flashback” ones. These shows concentrate on a particular year from 1964 to 1983 and in particular focus on a particular month by looking at The Top 10 Rock Singles in America, The Top 10 Rock Albums in Britain and the Top 10 Rock Singles in Britain. Along with news and nostalgia clips from the month in question. What audience sector is “Stafford's World aimed at? The target audience is the 35-70 age-range.